Sand between your toes, the sun on your nose, lying in the sun, watching sand castles get done. 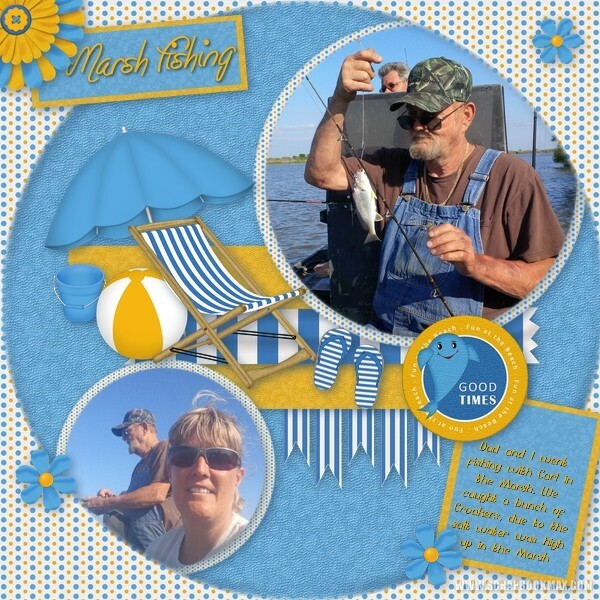 It all spells fun at the beach! 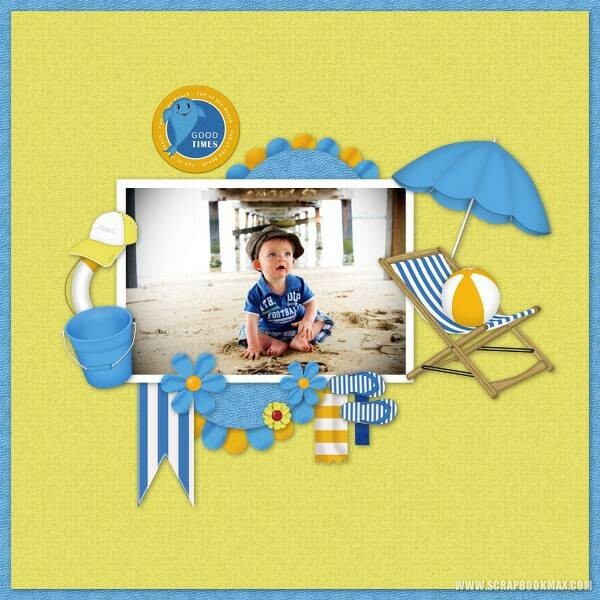 The bright yellows and blues bring the fun at the beach to your summer, vacation, or beach blast layout. 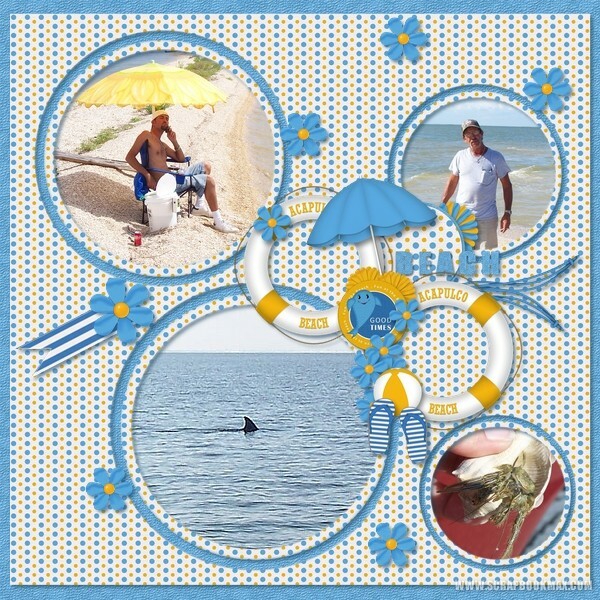 Fun at the Beach Part 1 includes 17 embies, 8 background papers, 1 border and 2 clusters. I definitively love this kit... for several reasons: the theme (one of my favorite's one) and the colors! These are too cute and so helpful! Keep up the AWESOME work! Love them all! 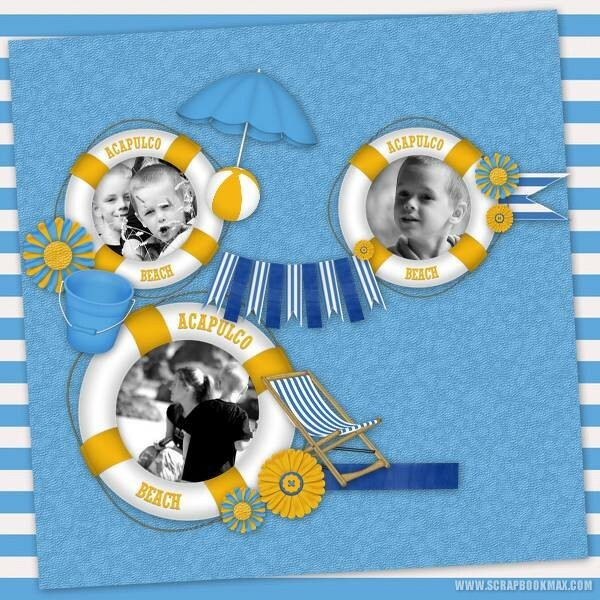 Here are 2 I did with this Awesomely Summery Kit!! Fantastic, the colouring and embies are wow, gorgeous pages girls. This one is one of my favourite kits as well as Sandy Shores. Great job!!!! Love the first one! Another Can't stop playing with this kit! !